Installing and running multiple MT4 client terminal instances on the same machine is easier than you might think. These days every MT4 user should learn how to do it. This way you can open two, three or even more MT4 platforms on the same computer, login into different accounts and trade all of them at once. You can do this without the need to login-logout from the single MT4 platform. You will have all your accounts online at the same time, meaning you can trade your real and demo accounts simultaneously. 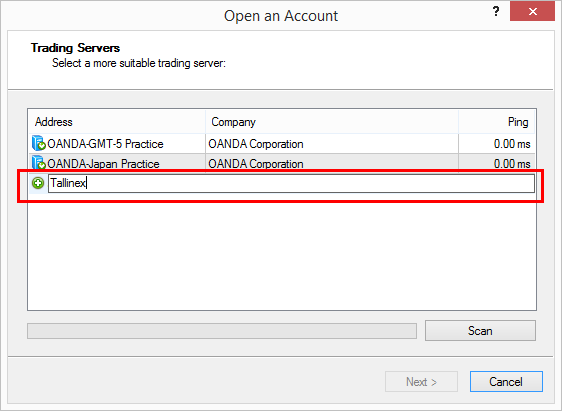 Additionally, this allows you to open identical trades on all MT4 accounts at the same time. When you have multiple MT4 platforms running on the same machine, then you will be able to initiate and manage positions on numerous MT4 accounts even if it’s on the same broker. 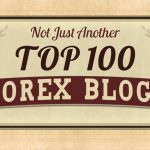 Why Forex Traders Need Multiple Metatrader 4 platforms on the same PC? The first reason is to login into separate MT4 accounts at once. 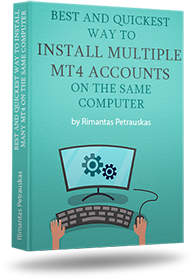 You can log in only into one MT4 account from the same broker, but if you have more MT4 terminals installed, then you can login into other accounts at the same time. 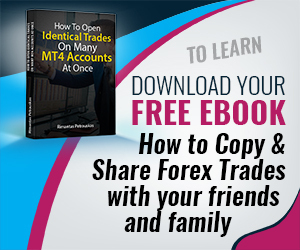 The second reason is to copy Forex trades between separate MT4 accounts. Imagine that when you open a BUY position on EURUSD @ 1.22340, the same position appears on other MT4 accounts within 1 second or faster. 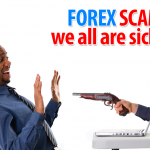 It is called trade copying and is quite popular among Forex traders. The third reason is to backtest or optimize multiple Expert Advisors at the same time. Each MT4 terminal can run only single EA in the Strategy Tester. But you can run many Strategy Testers if you have many MT4 terminals. Installing several MT4 terminals on the same computer is very easy. You need to repeat the same procedure as if you would install a single MT4 terminal, except that you need to choose a different location for each installation. So this means you can install multiple MT4 platforms even from the same broker or different brokers. Notice the numbering at the end of the folder name? It will help you identify terminals and keep all installation files in different folders. You can give folders whatever name you want, but make sure that each name is unique. When you run MT4 installation, it will give you an option to change installation destination folder. Look for the “Settings” button like in the picture below. It will become accessible once you select the “Yes, I agree …” box. Be attentive; this is the step many people miss. When MT4 installer loads, you will get the SETTINGS button on the very first step next to the NEXT and CANCEL buttons. But it will be disabled by default and to make it available you need to check the “Yes, I agree…” box. See picture below. Settings button will take you to a page where you can change the installation destination folder. When you click the “Settings” button, you’ll get to the next step where you are allowed to change the MT4 installation destination folder. 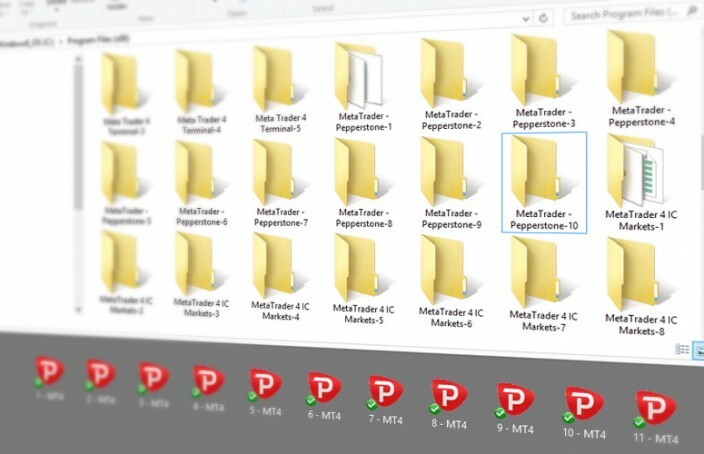 It is where you can change the MT4 installation destination folder which allows you to install multiple MT4 instances of the same broker on the same computer. I usually add a number at the end of the “Program group” as well. That way each installation will have its shortcut created in the programs list. After you have at least one MT4 terminal installed, you can duplicate folders using the copy/paste command (you can even use the CTRL+C and CTRL+V commands on your keyboard). 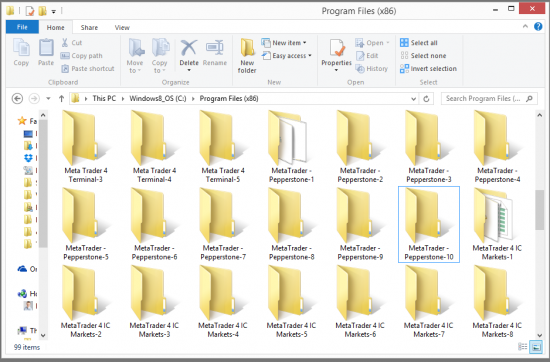 Open your C:\Program Files\ folder (or wherever you have installed an MT4 platform) and locate the MT4 installation folder. The name would be “Metatrader 4-1” if you’ve followed my suggestions. Now select that folder, press CTRL+C and then CTRL+V to duplicate that folder. Rename it to “Metatrader 4-2” and repeat the process until you have the required number of terminals. 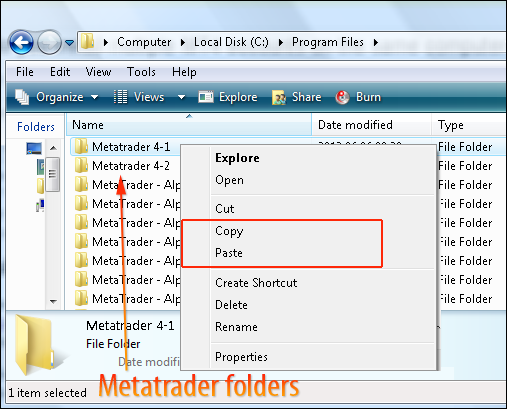 Alternatively, you can click your right mouse button on the MetaTrader 4 folder and click “Copy” menu. Then click the right mouse button somewhere on the white background of the folder and click “Paste” menu. 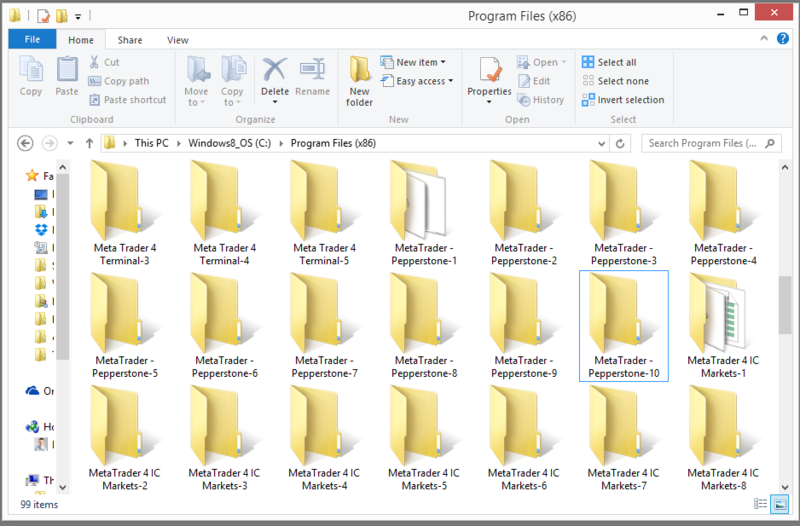 Multiple MT4 installation folders numbered for convenience. Once you have duplicated your MT4 folders, you should run each terminal individually and set it up accordingly. The first step will be to open an account for each platform. It is usually done from the terminal window, although some brokers don’t allow you to do it this way and you’ll need to connect to their member’s area and create additional accounts in there. When you start the MT4 for the first time, it will ask you to enter your username (account number) and password. If you don’t have these details yet, click cancel and a new user registration window will appear. From here you can follow the onscreen instructions and enter the required information to get an account. In the next step, you must choose a broker server. Look for the one that has “demo” or “practice” in the name. If no server is available here, then you can try clicking the SCAN button to find one. If that doesn’t help, it could be that your broker does not allow you to open an account directly from the terminal window. In this case, you will have to go to the broker’s website and open a new account from there. MT4 has a neat feature implemented where you can open a new account with mostly any MT4 broker regardless of what broker you’ve downloaded the MT4 platform. All you need to do is to enter broker name in the search field and way to see if its server name appears on the list. Not all brokers allow you to do this, but most of them do. In the picture above I am entering “Tallinex” into the search field to see if Tallinex servers are available. I am doing this on Oanda’s MT4 platform. In the above picture, I see MT4 located two Tallinex servers. I could choose Tallinex-demo and open an account with them even if I downloaded this particular MT4 from Oanda MT4. It is quite a cool feature I must say. After you choose the demo server and click the Next button, the broker will create an account for you and show your account login credentials in the same window. Save this information for future reference. Repeat same steps for each MT4 terminal to make them all ready for use. Then install the Expert Advisors or indicators that you need to use with your platforms, and you’re good to go. Also, a quite important thing to mention is that MT4 does not allow you to attach more than one Expert Advisor to the same chart, but you can always open additional chart window of the same currency pair and attach additional Expert Advisors on it. Keep in mind that there’s a limit of maximum 100 Expert Advisors that can run simultaneously on one MT4. How many MT4 platforms I can run on my VPS? MetaQuotes does not limit the number of MetaTrader platforms you can run on a computer or VPS. However, there will always be a limit as to how many of them you can use at the same time, and this depends on your computer specifications. With a regular VPS server or computer, you should be able to run at least 4-6 platforms at the same time. The actual number is up to you. Just keep an eye on how your computer runs as you launch additional platforms. If you see a significant slowdown in performance, mouse cursor freezing or any weird stuff going on, you might want to close one or two MT4 platforms and see if this helps. Also note, that many VPS providers give VPS servers limited to just one MT4, but usually those are not real VPS server, if I may call them that way. They serve a purpose to host MT4 platform, but you are limited a lot and cannot do much other than just host MT4. You are limited to how many log files you can read which can be quite a big problem if you need to investigate some error or misbehavior of Expert Advisor. If you use trade copier software on each MT4 platform, then you might be able to run fewer platforms on the same VPS accounts. And make sure you optimize your VPS to increase the speed of MetaTrader 4 platforms. What VPS servers do I use and how many platforms do I run? I use VPS servers from www.vpsforextrader.com. My good friend runs this company, and honestly, they are doing a great job. They are growing every year and are truly committed to their business. I have been using their VPS and dedicated servers for about eight years or so, and I am quite satisfied. I had real live trading accounts hosted on these VPS up to $80,000 USD and did not experience any trouble. I run 3-4 platforms on each server and have zero problems. I believe I could have even more, but I like to have some free resources available. It’s a good practice for any device or system. Just open the Windows Task Manager, go to the Performance tab and check how your VPS server is doing. To open Windows Task Manager, you need to right-click on the taskbar (usually located at the bottom of the screen) and choose Task Manager. I also have VPS server with a multi-core CPU, and they work great without any individual optimization. Note that most VPS servers do not run MT4 terminals well with multi-core CPU, but there is this special optimization of MT4 you can apply. In theory, there is no limit as to how many MT4 terminals you can run on a single machine; the limit comes from the actual hardware specifications. On an average computer, you should be able to run at least four platforms with no trouble. So how many MT4 platforms are you running on your computer or VPS server? Please post a comment and share the numbers below. I will definitely come back to U regarding your Trade Copier EA in future as it is my intention to trade for and on behalf of paid Investor Clients who want to get exponential growth on their invested funds.I am still at the beginning stage of putting the Idea together and maybe I should send U an email on this Idea(privately) to brainstorm how I can approach it. Here in South Africa there is tremendous opportunity to trade for Clients, as our currency is weak against the major currencies and Clients can make enormous amounts by earning Dollars and exchange it back to our currency. This is exactly where your Trade Copier EA comes in and also some of your other Ideas. 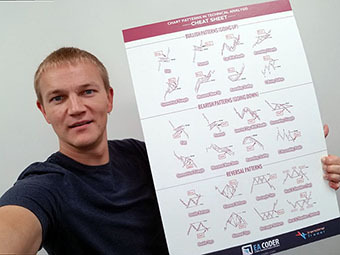 i am happy that you have ideas how to make money in Forex. 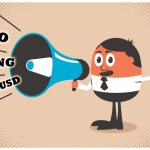 I am sure you will have a great success as a Forex account manager. Will do my best to help you with the software. I found out that the maximum number of MT4 terminals that you can have open on one Win 2003 or 2008 VPS is just over 20. This seems to be a windows limitation and not hardware limitation. Thank you Stuart. That is a very useful information to know. May we know your VPS technical characteristics? CPU, RAM, etc? hi Rimantas; Can you run this trade copier off the vps and what do you mean extra memory, are the slaves run on the master all of them?And If so how much memory will each take up? Frank, it is hard to predict how much memory and CPU your MT4 platform will use. It depends on many factors like “how many charts you will run” and “how many indicators or EA’s you will attach to the charts”. You should simply try to run MT4’s, attach all your indicators/EA’s and see how much memory and CPU it consumes. You can check that in “Task Manager”. Trade copier can run on VPS or on PC, it does not make any difference. Hello all well I am testing your program, site copy, my EA is Not Coming achieving partial closing set this function can help mi?………………. You have done a great job in helping me to understand. Nick, glad this was helpful to you. Please share that with a friend that you think might need this help as well. Perhaps the factor that limits how many MT4 client terminals you can have running is given by the communications bandwidth. Bandwidth could be quite limited for systems running on an office or home PC. A WPS in a data center would usually be much better connected to the rest of the world, i.e. much more bandwidth and most likely shorter latencies. Most WPS providers will offer higher performance options for those who are willing to pay for it. Higher performance can a combination of several features including guaranteed uptime, VM performance, amount of RAM and disk storage, bandwidth, latency. Manfred, that is totally correct, especially about the latency. Latency is very important for trade execution in most cases. If you use pending orders for entry then latency might not be an issue, but with market orders you really need to make your connection as fast as possible. Best way is to get a VPS that is in the same data center as your broker servers. Would turning max bars to 500 on each client help? I’ve been testing this a bit and did not noticed any immediate improvement. But I think this can help in the long run and I know that MetaQuotes give such advise too. Not sure exactly, but if your VPS has very few resources then you should use this approach for sure. Hi, look carefully for the SETTINGS button on the same installer page where you get to check the box “Yes, I agree…”. Settings button will take you to a page where you can change the installation destination folder. An example image is in the blog post too. Dear Andrea, thanks for your comment. When I wrote this article two months ago I already saw the changes in MT4 installer. The confusing part was the SETTINGS button in the MT4 installer. You might be missed it. It’s explained in the blog post. Or you have some other thing in mind? I have multiple copies of Mt4 running but am having trouble copying signals. If I copy from MQL5, it chooses one of the MT4 instances (not the one I want). I don’t know how to make it copy the signal to the one I want. If I choose the signal from within the terminal, it works but that only contains the top X (1000) signals I think. Is there a way to copy a signal manually, or some other workaround? Thank you. your case sounds complicated and honestly I did not understand what the problem is exactly. If you are using Local Trade Copier, please go through these steps listed on this page as this might help you solve the problem. If you are using another software to copy trades I recommend you contact their support. Thanks, James. Your feedback is highly appreciated. Dear sir you are doing remarkable work, currently i am using one software which close all trades in profit, so it is very good work by you. The MT4 exe installer no longer gives us this option. MT4 installation sometimes is a bit different among brokers. Can you give me download link of your MT4 setup so I could it out? I normally just download the installer from the broker and run it from my desktop or from within the folder I created for the particular platform. In this case it would be “FXCM-MT4Install” However as I mentioned above it seems we no longer get that option to choose a different folder now to install to. 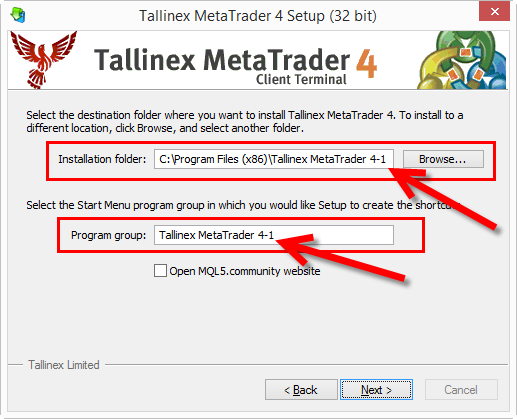 I’ve download MT4 platform using the link you gave me and I confirm that I can choose different installation folder. Looks like you’ve missed a step. When MT4 installed loads, you get the SETTINGS button on the very first step, but you need to check the “Yes, I agree…” box to make the SETTINGS button available. The SETTINGS button is at the bottom of installer window next to the NEXT and CANCEL buttons. Actually this is explained in my article above. You are absolutely correct Rimantas! I missed that, but in the past that option was usually in the steps. But now I see you have to choose the settings button to access the option to choose the folders. Thanks Gary. I appreciate your feedback and glad I can help. What if I have already installed more than one MT4 accounts on my Computer or VPS, is it possible to move them and rename them in diff folders? Or I will have to install all over again the same MT4 accounts as new ones in diff folders ? Thanks and look to read from you soon. if you already have accounts installed then you can simply use them. I do not see the reason to reinstall them. It does not matter how you have named them as long as they work for you. I ve been using 4 different platforms . Its really useful to me. Hi, I do not know about such solution. It’s certainly possible to create such app, but I do not have it. My trade copier is somewhat similar to what you need, but not sure if that’s exactly what you are looking for. love love love your articles Rimantas. i’m already using your “Traders on chart” EA.Its amazing.highly recommended. A couples of days ago I downloaded and I am using MT4 from my broker. This is a real account and I have dowloaded and use Indicators and EAs on it. I have also dowloaded MT4 from another broker. I would like to use this one for testing purposes only (the historical data from this broker is more accurate). The problem is: When I download an EA from the market, I am asked if I have MT4 or not. If I choose not it redirects to a download page. If I choose yes it installs the EA on the MT4 with the real account. I want to install it on the Demo though. It does not matter which one of the 2 installations is running or if they are both closed. Any suggestions how to get around this issue? Hi there. You simply need to purchase/download apps directly from your MetaTrader 4 platform. Do this in the “Market” tab available at the bottom of MT4. I have done that. Through my real account. And once I open my demo on the second platform, the App is not installed in this (as expected). And in order to install it, I have the options to buy , rent or demo. If you go to MARKET tab in your MT4 then the app should be installed in the very same MT4. If it does not do that you should contact MetaQuotes for support. Maybe something is not right. If it installs in the wrong platform just copy it out of there & place in the platform you want it in. Hi, Gary. Not sure if that would work. I know many clients told me stories that this does not work. It is downloaded from the platform and it is installed on it. The Real account platform. No problem there. How to install it on the second platform on the same pc is the issue. I will contact Metaquotes and I will post their reply. I’ve downloaded Indicators & EAs from the market & like Dimitris was saying above mine also went to the wrong platform but I had no problem simply copying it out of that platform it went to & putting it into the platform I wanted it in. 🙂 Not sure why he can not just do that?? Do your instructions apply to Win 10? There is no more installation in C/Program Files folder unless I am mistaken. It goes to C/Program Files (x86) for a couple of years or more now. And then all the stuff with MQL4 file is stored who knows where. The only way to access it is via File – Open Data Folder. Yes, it does work for Win10. It does not matter if it’s called “Program Files” or “Program Files (x86)”. MT4 Data is stored in data folders, but that does not give any trouble either. This method used to work, but I think is basically obsolete with the newer installers… on any version of windows as far back as Vista I’m guessing. It 100% doesn’t work for the current Oanda installer on Windows 10. The new installer asks you the first time where to install. Then subsequent times, just finishes without asking you. Not only that, the install guid for the data folder is the same on different computers which is why I was testing it in a VM to verify that the guid would change on subsequent installs… but since it doesn’t prompt me to install to a different location, I don’t even get that far. I was thinking it might work if I found an older installer. But, at this point, who knows… I would surmise that many other broker installers are basically the same since the MT4 installer is pretty much just a template for the different companies to use their own branding. It also 100% doesn’t work for the FXCM installer too, even though they basically have your same tutorial in their knowledge base. It behaves the same as the Oanda installer. Doh, I’m sorry, it’s working. I was overlooking the “Settings” button. Don’t mind me, I’m an idiot and can’t read. Anyway, feel free to delete or post these… might be better to delete them. Hi Rimantas.I have downloaded mt4 multiterminal exe.and tried as you explained.but i have some problems with it.i have some real and demo accounts on different brokers.firstly i have tried to open on terminal my demo account opened at indigodma.but on the settings where i wanted to put on the server location it does not allow me to change the location.there is only metaquotes demo-meta quotes corporation. location.what should i do?may be becouse it is sunday today,or it does not mean anything? Hi, I don’t know if this works for multiterminal. I’ve wrote this article and tested the trick on MT4 trading terminal only. Thanks for this advice. I have only recently started using MT4 and it is installed on my Windows 10 computer on C:\Program Files (x86). I now want to install another instance of MT4 and I was simply going to do the same – using your instructions. However, I am now confused and concerned that perhaps it should not go there, because I have read lots of folk saying that MT4 should not be installed in C:\Program Files but directly on the main C:\ directory, although I wonder if this was perhaps more of an issue for windows vista/7 because the posts mainly refer to them. What do you think? You can install MT4 into the C:\Program Files. New MT4 version works fine in there. There was a problem with old versions couple of years ago, but that is long gone. Hi Rimantas. Thanks so much for your reply. Your site is amazing. I just have one more question, I would like to rename my existing MT4 from the broker’s name to something like “MT4-1”. Can I just right click and rename the folder in Program Files, or will this screw everything up? Instead do I need to uninstall my existing MT4 then reinstall with the new name? thanks for your feedback. I am glad you like my work. You can go ahead and rename MT4 folder, but it will screw MT4 shortcut (you will have to update its information). Or you can delete old shortcut and create new one. When renaming, make sure you close MT4 first. In your blog you mentioned about running multiple MT4 platforms on single CPU, can you please share with us. When we reboot a CPU how do I run all the MT4 platforms automatically. personally I do not use any app for that, because I never reboot my VPS and it haven’t crashed in the last 2-3 years not a single time. But I know some VPS providers give this Autoboot app. Hi Mr, good article. I have a question. Today Broker tier1 or regulate with FCA aren´t accepting Money manage. It might be solution for Money Manager, and only the clients, need give the Money Manager of credentials? Not sure what you are trying to say exactly, but you can become a money manager by simply using MT4 copy trade EA. is there any forex Robot please one can share please? and the best VPS to buy please. Hi Rimantas. This is really useful and I have followed your instructions successfully. However, if I want set up another instance of MT4 but – intially – want it looking and working in exactly the same way as my existing installation which I have configured how I like it (indicators, templates, profiles, chart & alert settings, etc), can I simply copy the WHOLE Data Folder over from the existing installation to overwrite the entire contents of the Data Folder of the new installation? Do I need to copy the whole terminal installation folder (in program files) over as well? Or will copying & pasting like this not work properly? Many thanks! Yes, you can copy contents from one MT4 Data Folder to another, but you should copy only specific folders you need. You do not want to overwrite some configuration files if those MT4s are from different brokers. But I believe nothing should break even if you copy entire contents. 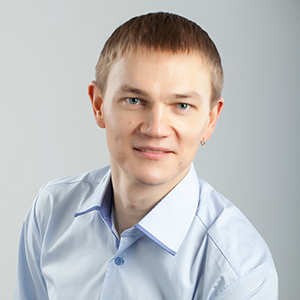 Hi Rimantas, thanks for the great articles and forex tools you make ! Several MT4 users who uses multiple MT4s with EAs, reports the MT4 doesn’t load all EA’s presets when closing/opening instance or restarting. They just load the charts, but not all the presets and EA. 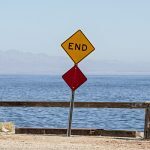 I’ve searched several forums and talked with other investors and I don’t have a consistent answer. Some people use an app called SyncToy to copy and sync the data folder to the original folder in program files. Others run in portable mode to save the presets/files in the original instalation folder. And some of then install the MT4s in the C:/ root folder, outside Program Files. I’ve tried all possibilities, unless installing outside program files, but will try it now (besides I’ve read your comment above telling people did it in the past but it’s not necessary now). What’s your solution for this problem of MT4’s not loading presets when restarting ? Do you run your MT4’s in portable mode also ? My VPS runs Windows Server 2008. And I run latest MT4 build 1065. Toni, mostly there are two possible problems if MT4’s not loading presets when restarting. 1) EA has bugs and cannot load on startup. Error messages would be seen in the EXPERTS tab and it should help you to identify the problem or at least give the reason to contact EA developer. 2) MT4 is running in portable mode and when you restarted you do it in normal mode. This way MT4 does not see your configuration from the “portable folder”. If you use MT4 in portable mode you should never launch it in normal mode or your configuration will be messed up. I wanted to copy signal software to myAvatrade demo MT4 platform. But the account manager told me it was not allowed. to copy my software to. Any MT4 will work but there are a few that do not work. I don’t have a list of MT4 brokers that allow Expert Advisors because 99 out of 100 allows it. So just go with another broker like FxOpen for example and it will work. I just want to ask, if is it possible to run 100 MT4 on one computer? Yes, you can do that. But I cannot teach you this in one sentence. We teach this in this video course Forex Robot Academy. Hi. I had multiple MT4’s installed as you described. They work fine for trading, but NOT for backtesting. I found all the extra MT4’s were giving incorrect results for backtesting. Once I only had ONE MT4 on each of my computers, the backtests were correct again. I ask you to do a backtest that you have previously done, and know the results on all your MT4’s. I am sure you will find most are incorrect. Please try before replying. Thanks. Backtests on multiple MT4 always work fine if you are using Tick Data Suite. I was using the same data. I am saying multiple MT4’s installed makes them give incorrect and contrasting backtest results. Not sure what’s going on but you should contact the support team of that software. Hi, thanks for showing me the easy copy paste method of installing multiple MT4 terminals. You save me a lot of trouble. will the application copy trades that are done on the account or copy trades are done by the MT4 application? If I use the mobile app for my account and add trades via that app will it also be added to all other accounts? Yes, you can use mobile app to add trades and have the same MT4 running on a computer with the trade copier to copy to other MT4s. Could you explain how to run multiple instances of MT4 with multiple accounts but for MAC OS? I’ve never done this myself, but it should work the same way if you are running Windows on MAC using Vine or PlayOnMac software. Do you have any idea what would be the ideal pc build for running the most number of mt4 terminal? I need to run multiple mt4 terminals and I think that a vps would not be enough. I’ve been also eyeing on using dedicated servers but they are quite expensive. I would just like to know the cost of building a pc that can run the most number of terminal. I think that this would be great article for you as well. I have no idea what’s the ideal PC for running most mt4 terminals because you did not tell how much terminals you need. They show how many terminals you can run approximately and it will give you an idea what PC you need to build. Great work. I will use this to make a lot of money. I will recommend this to my friends. It is hard to tell what’s going on when I don’t see inside your VPS. By the CPU load, it seems that all should work fine. 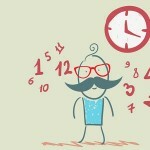 But there can be many reasons why your VPS is running slow. It could be that your VPS has a small limit of read/write operations and this does not allow software to work fast enough. You should contact VPS hosting provider about this. There is no one answer for this. Usually it is about 4 mt4 terminals for each CPU core so 12-16 terminals should work fine. However the best option is to add mt4 terminals 1 by 1 and in Task Manager check CPU usage. When CPU is loaded 70-80% it means no more platforms can be added, because overloaded CPU can cause lag.